Her name is Recella. 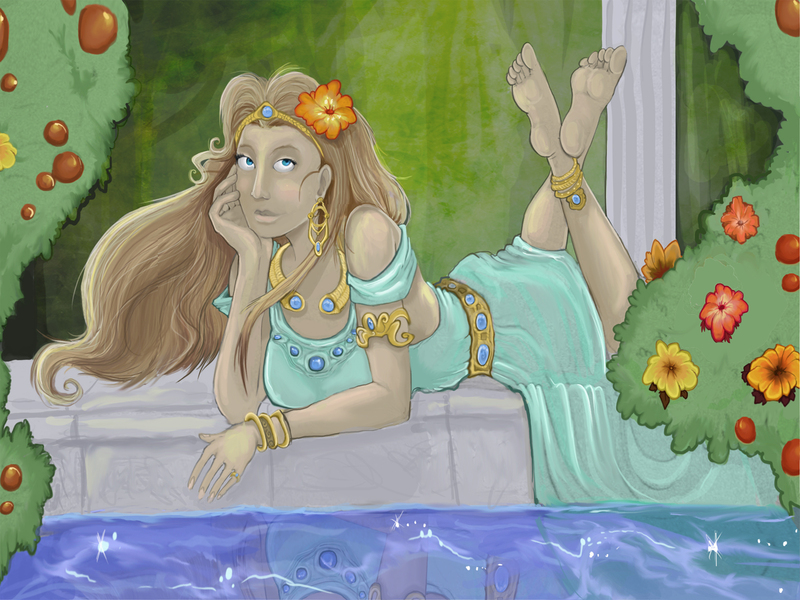 Just an average woman relaxing by her private waterside spot behind her home. Nothing is more tranquil than being alone with water, listening to its every sound, seeing the open water go on and on forever, and feeling as if you were the only being around. Seen in all of her jewel laden accessories, Recella takes a short rest; nothing more than laying down by the water, closing her eyes every so often, and letting the sun warm her face.